For more than 40 years, St Lucia Dental has been providing local residents, staff and students from the University of Queensland, and patients from across the broader Brisbane region with high-quality dental care. Founded by Dr Don Anderson in 1968, the practice was passed over to Dr Angus Quinn in 2008. Today, the practice serves thousands of patients and employs more than 14 staff – including dentists, dental hygienists/therapists, dental nurses, and front office coordinators. Conveniently appointed on the vibrant Hawken Drive, St Lucia Dental has forged a reputation as one of Brisbane’s most dynamic dental practices; and stands as a pillar of the local community. We know going to the dentist can sometimes be scary. So we make sure you are comfortable and our caring staff take the utmost care to treat you and your mouth as gently as possible. 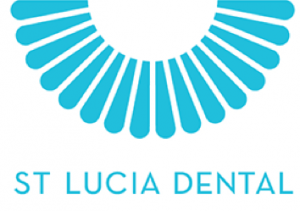 Gentle Dental at St Lucia Dental starts with our friendly reception staff who greet you with smiles when you enter and promptly get you to your next meeting when finished. We want you to have a new, comfortable and Gentle experience.